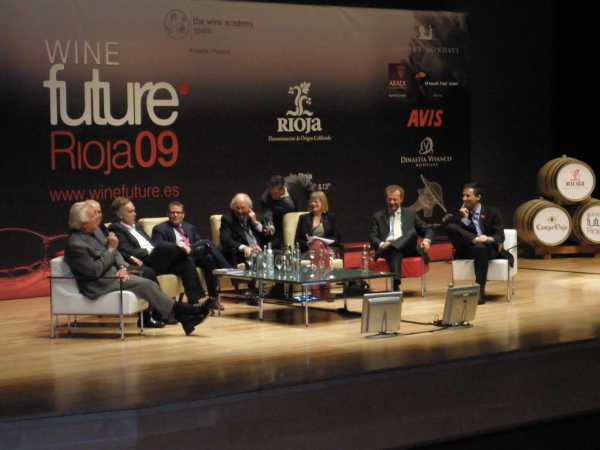 One thousand wine professionals gathered in Logroño, Spain, November 13 and 14 for the first WineFuture conference organized by Pancho Campo and the Wine Academy of Spain. The event drew luminaries such as Jancis Robinson, Robert Parker and Gary Vaynerchuck along with international collection of industry members. 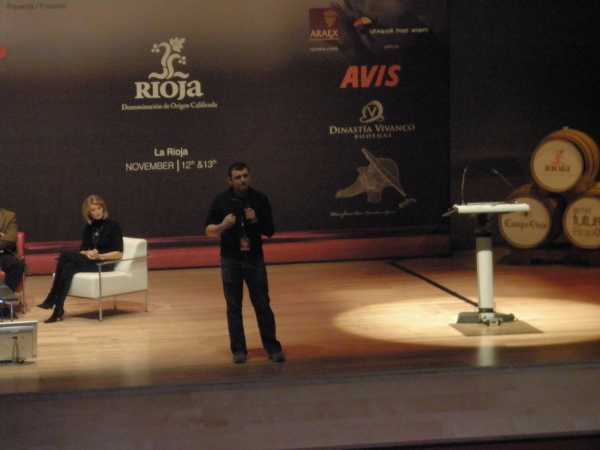 Topics such as the crisis in dropping restaurant sales, changes in the retail market, and social media were debated by a series of panels over two days in the Rioja Forum Convention Center. The glitterati of the wine industry were dazzling to watch, but I went to the event asking: What does all this mean for the wine consumer? Wineries, distributors and marketing experts agreed the global recession has brought price to the forefront. Universally, the dollar equivalent of $5-$15 is the current sweet spot, with more expensive wines languishing. We’re spending our wine dollars carefully, buying more at the supermarket and chain stores instead of restaurants. The average wine consumer is relying on familiar brands instead of the unfamiliar. If you like the security and reliability of buying the same brand at your local grocer or liquor chain, with no vintage variation, over and over, you’ll love the new wine world order that’s coming. If you prefer discovering the unique, smaller producers it’s going to get harder over the next few years. “Price transparency”—also known as “shopping around via the internet” as the rest of us call it—is pushing down profits for everyone as consumers look for the best deals on sale. But who can blame us? Expect lots of the less well-funded boutique producers and wineries who are reluctant to look outside the box to disappear as profits shrink and expenses stay high. Also expect to see continued consolidation among the more fragmented producers in Europe and the US. 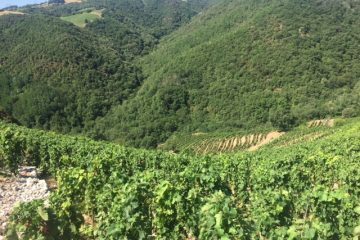 The well-established luxury wines and Bordeaux Grand Cru will be able to hold out until the recession passes. This brings us to restaurant market, traditionally the place where the smaller wineries showcase their wines. Falling restaurant sales have left many boutique producers with unsold inventory as consumers cut back. The hospitality sector was lambasted for high-percentage markups on wine. Spanish wine importer and winery owner, Jorge Ordonez put it succinctly, “Wine has been the cash cow of restaurants, but now the cow is dead.” The excuse about the cost of the glassware and the investment in inventory to justify the markups isn’t going to cut it in this economy. If restaurants want to sell wine it was suggested that they reduce markups; offer a larger selection of moderately priced wines that offer good value; and to maximize wine by the glass programs. I’d drink to that change if it comes to pass. We may see more wineries taking advantage of the internet and blogging. Gary Vaynerchuck stepped on stage as the last and most energetic speaker on the Internet and Wine panel. He hammered home the point that an industry that struggles with branding and the cost of marketing is missing out on some of the most cost-effective ways to promote wine. I watched the crowd while Gary spoke. Some people were on the edge of their seats, but many of the old guard looked unconvinced. Several of the European attendees I spoke to had never heard of him before, but found his ideas intriguing. Will the Gary V. World Tour be next? Jancis Robinson moderated a panel on the Media, Wine Writers and the Future of the industry. While the large publications like Decanter, Wine Spectator and Wine Advocate still have their fans, they aren’t reaching enough of the wine-buying population, such as female or non-white wine drinkers. Jancis agreed with fellow panelist Gary V that the day of the gatekeeper in the ivory tower handing down wine reviews is coming to the end as blogging levels the playing field and pushes wine journalism to a more democratic model. Speaking of gatekeepers versus bloggers, Robert Parker said he likes blogs—as long as they aren’t full of vicious noise and personal attacks. “I hope the crème de la crème will rise to the top,” referring to one of Gary V’s quips the previous day, “and responsible bloggers will carry on,” was his carefully worded statement when asked about his opinion. Parker hosted a sold-out private tasting for VIP ticket holders (unfortunately, I wasn’t one of them) on Thursday night. I saw nothing but admiration of him in the trade and he seemed open, down to earth, and affable in the capstone discussion forum that ended the event. It reminded me of Richard Nixon as the elder statesman in the 1990s. He compared the 300% markup on restaurant wine akin to “being mugged on the street,” and offering up his opinion that interactive technology and the internet is the future of wine marketing. Was that a peace offering I heard? Marketing experts repeatedly suggested the wine industry needs to stretch itself to reach out to new customers and new packaging trends. Marketing gurus Richard Halstead, Tim Hanni, MW, CWE and Justin Howard- Sneyd, MW, agreed that the industry should look to expanding the customer base by taking the demand for sweet wines more seriously, warning wine’s current popularity in the US and new world is facing a new generation of flavored, sweetened wine drinks that are on the horizon. The thought makes me recoil in horror (and I suspect I wasn’t the only one in the audience), but now I won’t be surprised to see green tea–hibiscus Pinot Grigio or chili-lime Riesling in a tetra packs on store shelves. It seemed clear at WineFuture that the wine industry knows it needs to work harder to sell us wine in order to thrive, but they aren’t quite sure how to go about it. For an industry based on tradition, future success will require reaching into new territory when it comes to sales and marketing. I’ll be watching to see which if any of these predictions come to pass and posting a few more in-depth observations on the conference topics on my blog, Wine Country Confidential, when I return from my trip. —Leah McNally is a student at Sonoma State University in the Wine Business MBA Program, focusing on social media and marketing. She works as Concierge for the Wine Club and Direct to Consumer department at Stag’s Leap Wine Cellars in Napa, California, and writes about the wine industry and other musings at Wine Country Confidential. Great insight… have you or anyone reading this talk to any smaller producers for their take on Gary’s comments about their use of social media marketing? What’s missing? Are they simply off the grid and don’t know about it or are they specifically staying away from the channel for other reasons? Leah – great summary – thanks for putting it together. Nice post Leah! I didn’t know SSU was representing at this event. great summary and review of the conference. Sorry we didn’t meet at the conference, but then there were around 1000 of us! Funny that the industry should recoil in horror that this was proposed in a country where wine has for CENTURIES been traditionally mixed with the juices of orange, limes, lemons and other fruits to make it taste OK! And, served in that fashin, it was consumed with lamb, fish, chicken or anything else on the table. 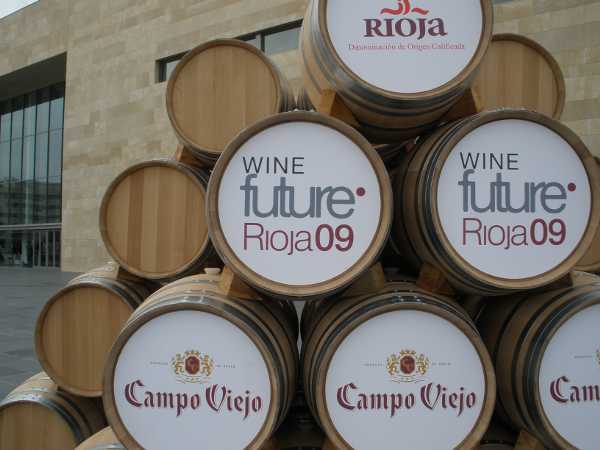 What is really completely out of whack is the high intensity, high alcohol modern wines and even the traditional wines of the Rioja are all headed that way! Not that that is bad in my world either. Just oeno-evolution. We is (sic) a funny bunch of people, us wine folk! Sweet wine has always been highly prized, and valued, in Europe until recently. Gary Vaynerchuck as a luminary? Are you kidding ? He doesn’t even belong on the same stage as Parker…my goodness! His sipping, slurping and swishing is bad enough and sports analogy nonsense is doing nothing more than turning the wine business into the equivalent of the Public Education system-as in..catering to the lowest common denominator. I’m not opposed to barriers being taken down, I’m not even opposed to revamping the point system. What I think we should be careful with is elevating that lowest common denominator to the height of actual expertise. Vaynerchuck has a following no doubt; but where goes the mastery and years of actual work that goes into making the wine, and moreover, the vast education that Court Sommelier’s have? Sorry, not all wines are good; and not all good wine guys are worth listening too. He may have the gift of gab, but that’s about it. Ed- I think the biggest problem with wineries using social media is getting them to see a concrete ROI for scarce marketing dollars. Even if most social media platforms can be used at little cost to the winery, it still takes paying an employee or consultant to interact and be the social media representative. Many don’t understand how to make it work, or feel it would be very time consuming to make it pay off. Tim- I enjoyed your presentation at the conference. You make a good point that historically sweeter wines were very popular and of course sangria and similar drinks are consumed in a number of cultures. I’ve never particularly enjoyed sweet alcoholic beverages and am guilty of my own palate prejudices. (I’m not a fan of flavored waters or teas, either.) I think it is clear the wine industry needs to look outside the box to continue to grow and solidify it’s influence among consumers rather than staying within what has become tradition over the last 200 years or so. If sweeter wines are the wave of the future, so be it. Tim- I enjoyed your presentation at the conference. You make a good point that historically sweeter wines were very popular and of course sangria and similar drinks are consumed in a number of cultures. I’ve never particularly enjoyed sweet alcoholic beverages and am guilty of my own palate prejudices. (I’m not a fan of flavored waters or teas, either.) I think it is clear the wine industry needs to look outside the box to continue to grow and solidify it’s influence among consumers rather than staying within what has become tradition over the last 200 years or so. If sweeter wines are the wave of the future to help keep wine popular, so be it.